Industrial farming yield a relatively small amount of food like fruits, vegetables, meat, and dairy products but produce staggering quantities of greenhouse gases and wastes that pollute air, water and soil. This contributes to climate change, biodiversity loss, coral reef degeneration, land and water degradation, acid rain and deforestation. Agricultural industrialization supported by new technology is important with increasing size of farms driven by consumer needs. The vector control programmes and modern industrial agricultural practicesfor public health purposes use chemical insecticides and pesticides to control disease carriers and insect pests. Farmers need herbicides to avoid expensive usage of mechanical cultivation of soil and hand labour to control weeds. The use of industrial agricultural techniques lowers business costs; helps increase food production; improves local and national economies; encourages technological development and creates employment opportunities. Modern industrial agricultural practices ensure increased crop yield, maximize economic returns and minimize the risk of crop losses. Land management practices like other engineered industrial systems are predominantly driven by risk avoidance and increased efficiency. Efficiency maximization and risk avoidance management strategies increase the predictability and stability of complex systems. This pursuit of improving agricultural efficiency in landscapes has contributed to the loss of natural heterogeneity and biodiversity causing emergence of functional homogeneity. Massive amounts of land, energy and water are needed in industrial agriculture to raise animals for food that causes immense animal suffering and increase in global greenhouse gases. Agricultural fertilizers, pesticide, herbicides and insecticides commonly used are found to be associated with acute poisoning, toxicity and long term chronic diseases. Public awareness of alternative strategies pursued to stop the overuse of chemical insecticides, pesticide, fertiliser and herbicide due to health and environmental risks is essential in agricultural sector. Integrated pest management programmes that include a set of measures that combine monitoring of pest population; mechanic and biological control methods; traditional preventive practices and responsible insecticide treatment is gaining more acceptance. Soil erosion causes downstream sediment pollution and decline insoil fertility. Agricultural and commercial inorganic chemicals like herbicides, pesticides and fertilizers causeair,water andsoil pollution. Improper use of agricultural methods elevates faecal contaminants, concentrations of nutrients and sediment loads. Eutrophication of water bodies is caused by increased nutrient load from animal waste that canleadto damage of aquatic ecosystems. Conversion of land for agricultural purpose is the main reason for destroying forestland. Poor farming practices of land clearance and deforestation, livestock overgrazing, inappropriate irrigation and over-drafting causes agricultural depletion of soil nutrients. Environmental issues associated with industrial agriculture include deforestation, climate change, irrigation problems, pollutants, soil degradation and waste disposal. 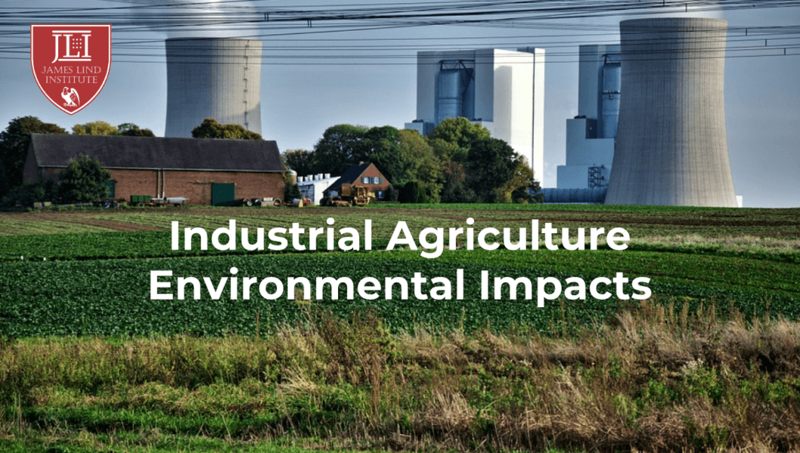 Industrial agricultural practices have negative effect on the ecosystem with wide range of environmental impacts on water quality, carbon sequestration, soil retention, nutrient cycling and biodiversity conservation. The goal of landscape management should be to optimize sufficient adaptability, variability and biodiversity for greater resilience rather than on achieving the highest economic stability and efficiency. Farmers need to introduce appropriate soil and land management practices to reduce the negative impact on the environment. 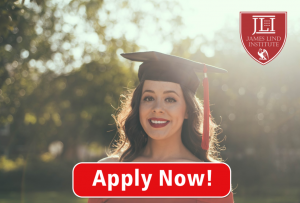 James Lind Institute (JLI) provides online program in Agribusiness and Public Health Integration to help train professional who can work in multiple sectors for improving the impact of industrial agriculture on the environment.